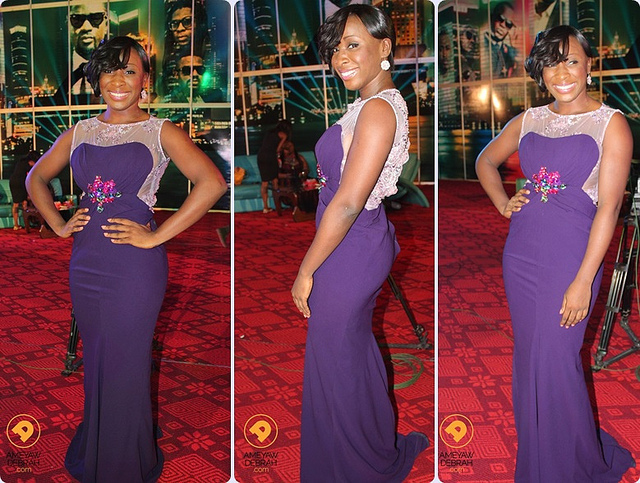 Actress, Naa Ashorkor keeping it classy and elegant in a purple and lace gown. Simply gorgeous! 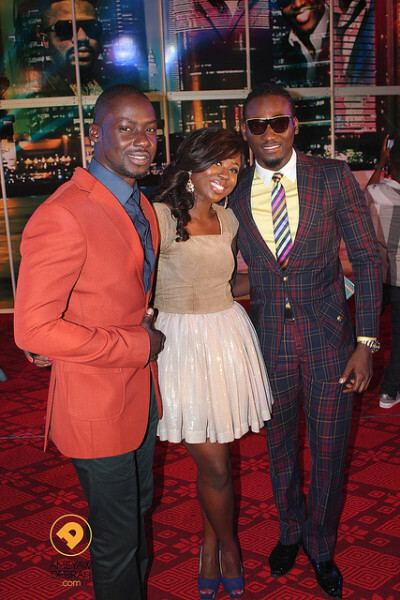 Actor, Chris Attoh with guests I don’t know. They look good! 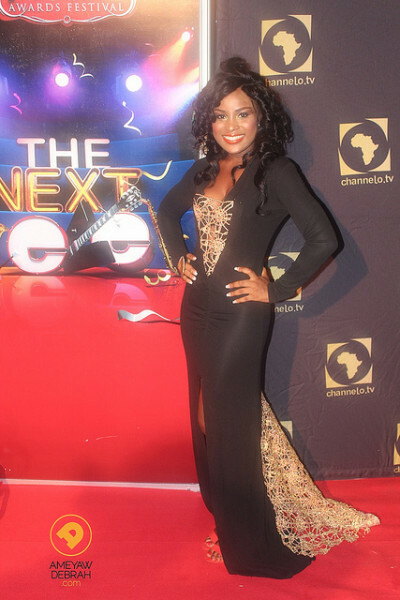 Singer, Efya in a black and gold plunging neckline dress. She won the ‘Best female artist’ of the year award. Below is one of his hit songs..Antenna remix ft Wyclef! The dance is called, Azonto and it’s cool. 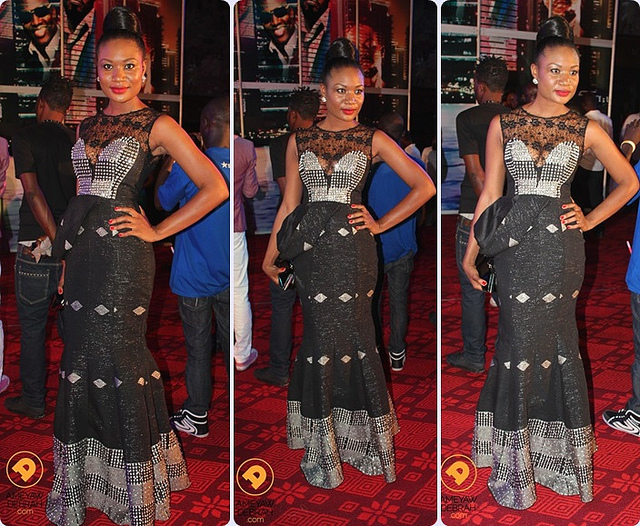 Actors, Yvonne Nelson (in a black dress showcasing her gorg legs) and John Dumelo who’s also rocking all black errthang. 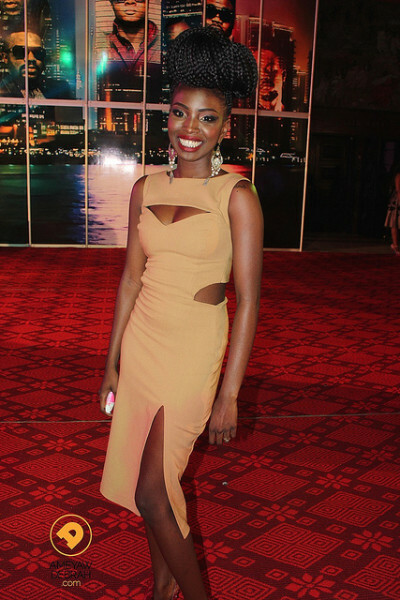 TV Host (Fashion 101, the Fashion Police of Ghana) and Actress Sandra Ankomah looking elegant in a black/white, lace top gown. She looks stunning! 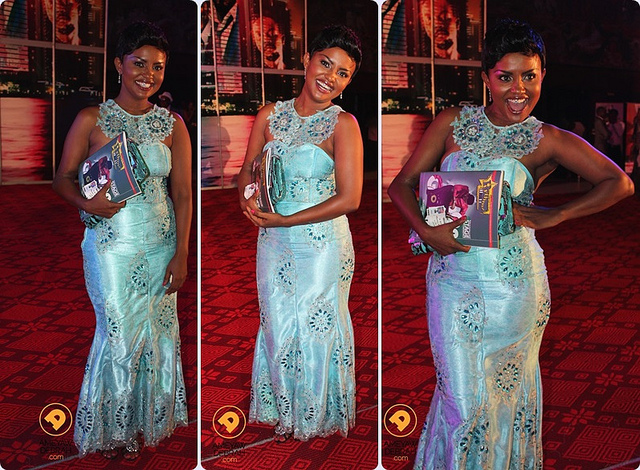 Actress Nana Ama McBrown in an African lace gown. Congratulations on the weight loss gal…looking good! 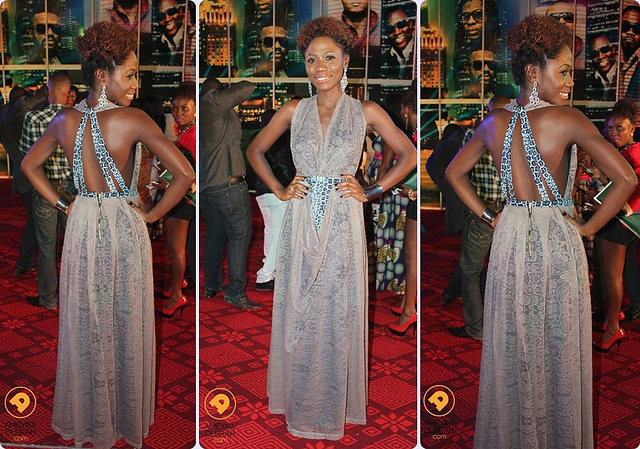 Lady Jay in a cut-out dress. Love the bun! 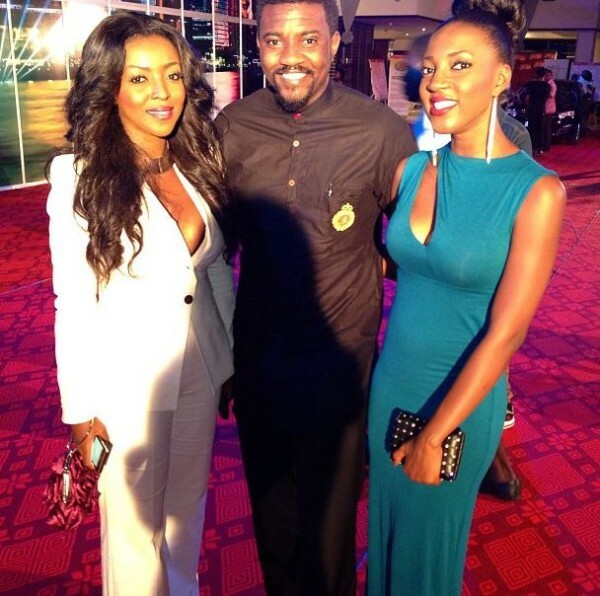 Actor, John Dumelo with the Okoro sisters. (Yvonne in white, and Roseline). You ladies are looking fab! 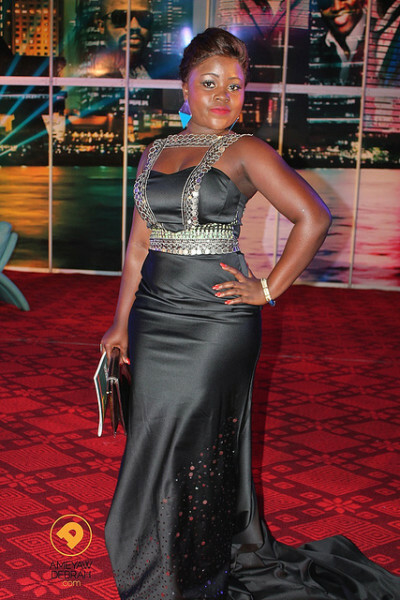 Actress, Gloria Osei Safo in a monochrome figure-hugging, thigh high split dress. Berla Addardey looking beautiful in a Naadu Trendz dress. Stunning! 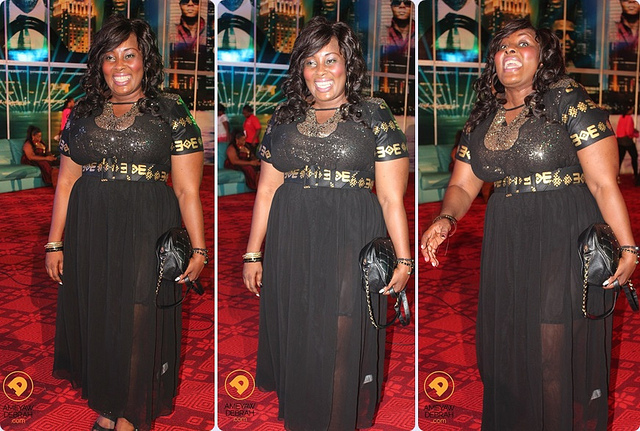 Rapper, Lousika pulling the ‘Angelina Jolie leg look’ in an embroidery thigh high split dress. Beautiful woman! TalkofGH’s CEO, Nana Agyari. Looks like someone is enjoying herself right!? Beautiful! 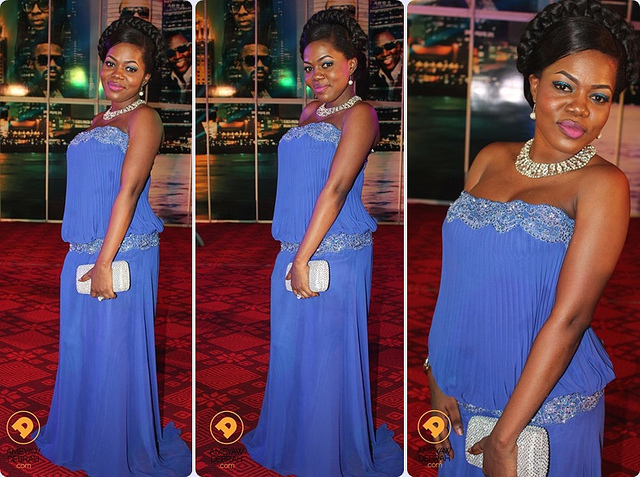 Singer and new Yummy Mummy, Mzbel in a simple maxi gown…lovely! 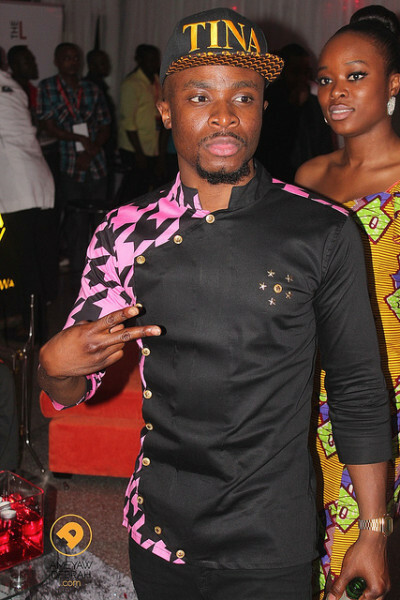 Hope you enjoyed some looks from the celebrity world in Ghana (Africa). Till then, have a lovely day and stay bless.